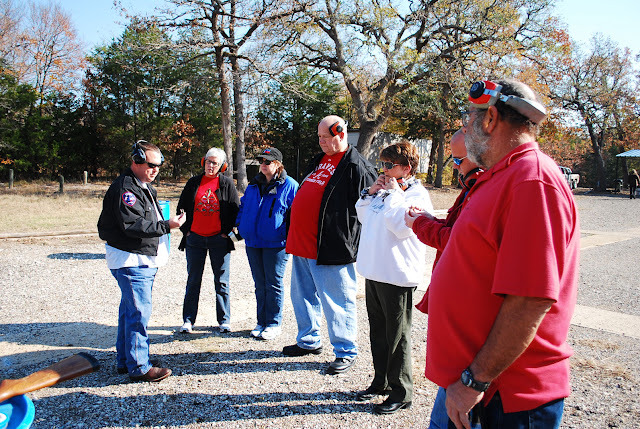 One of the fun parts of the Terrell Citizens Police Academy class was our trip to the gun range. After some instruction by the officers we were able to shoot hand guns, rifles and a few tried the shot gun. 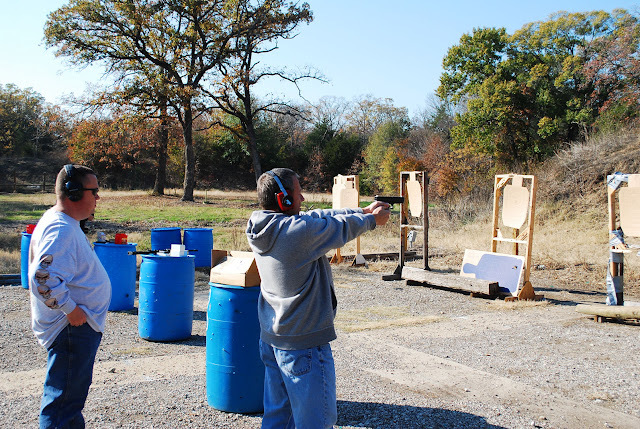 The purpose of the day at the range is to let us know what types of weapons our police officers have available to them, what each weapon is capable of, and what types of weapons the bad guys use. This Thursday is our class graduation. Friday, I'll have a write up on my thoughts of the class.